The bracket clock was introduced circa 1660 and many would have originally been made with a decorative matching bracket to fix to the wall. Ones without a bracket would have been referred to as a table clock. 50 years later decorative mantle shelves were appearing as part of the original fireplace and with it came the mantel clock. These are often confused with bracket clocks in current times. Smaller bracket clocks were no doubt placed on mantel shelves, justifying the name mantel clock, and they were manufactured in increasing numbers as the 18th century progressed. But Mantel clocks and Bracket/Table clocks are completely different things. Before the introduction of bracket clocks, Lantern clocks and longcase clocks were weight driven, these would have to of been fixed in position due to the way the weights need to fall. They would need a constant force to be applied to the clock for it to work, which meant they could not be moved easily. However, bracket clocks use springs to provide the power for the clock to work, which then meant they were more portable. That combined with a Fusee which improved the timekeeping by equalising the uneven pull of the spring as it runs down was a grand design. 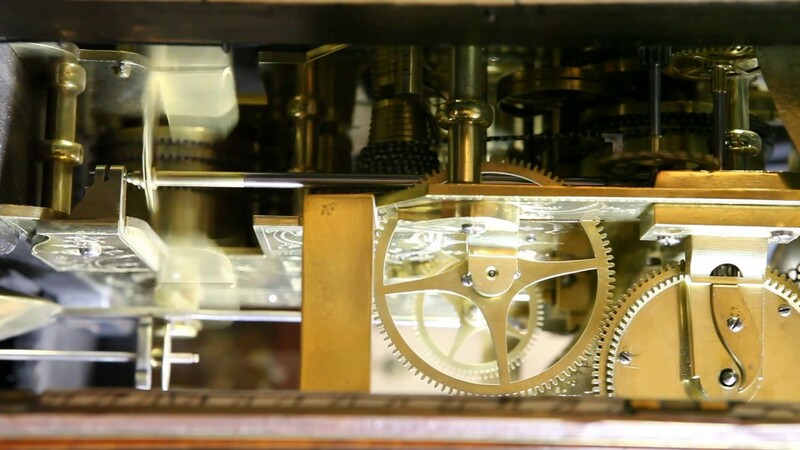 They originally had a verge escapement and short bob pendulum within the case. The verge escapement was only replaced by the anchor escapement much later than in the longcase clock, this was undoubtedly down to the verge escapement being much more tolerant in a bracket clock whenever it was moved, and so was less affected by any inconsistency in the level of the surface, where the anchor escapement can be very sensitive where it sits if moved without adjustment. The design of bracket clocks changed with contemporary fashion. Between 1670 and 1690, square dial clocks in ebonised pedimented cases were followed by basket top clocks. Then came the arch dial, the inverted bell circa 1720, and then the true bell top toward the middle of the century. Next came the break-arch case, the balloon clock, the lancet top, the arch top and eventually, the chamfer top. The wood veneers for the cases were, consecutively, ebony, walnut, mahogany, satinwood and rosewood. Clocks with their original bracket are somewhat rare. If you would like to see all of our Bracket Clocks and more, visit our showroom.